We all know no political leader can lie better than the Zionist prime minister Benjamin Netanyahu. Now two Western leaders, US president Donald Trump and British prime minister Theresa May are sharing the title with Netanyahu. All three are proven to be morally corrupt and fear Muslims and Islam the most. All three also share fear of the emerging influence of the Islamic Republic of Iran on the international stage. On Friday, London-based Captain SKA, band, released a song (listen below) mocking Theresa May by calling her Liar, Liar, Liar… again and again, is heading to the top of the charts, day it was released and a week before the election despite receiving no airplay from radio stations because of impartiality guidelines. Captain SKA has promised to donate all revenue from song download to an anti-austerity activism group and UK Food Banks. Jake Painter, the man behind the Captain SKA song has claimed that he was told by BBC not to go too hard on the Tories. The song includes several clips of May’s speeches, with the chorus: She is Liar, Liar, oh she’s a Liar. You cannot trust her, No, No, No, No. It also shows Theresa May holding hands with Donald Trump and chuckling in the House of Commons (British parliament). The song citing 3.7 million children living in poverty in United Kingdom, lamblast May for making cuts to host of country’s institutions including schools and the National Health Service. However, Tory government has £50 million funds to waste on a new Holocaust Museum in London. 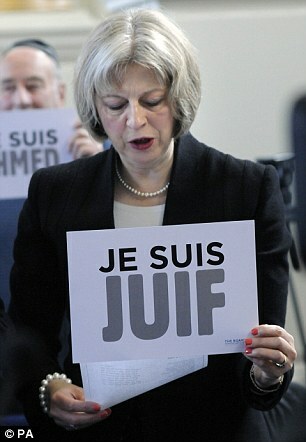 Theresa May has repeatedly said: Without Jews, Britain Wouldn’t be Britain (Breibart, December 22, 2016 – Israel National News, April 10, 2017). The song doesn’t explicitly support the so-called ‘Hamas-loving’ Labour leader Jeremy Corbyn. The video ends with captions saying: 8 June, Tories Out. According to Jewish media, 77% British Jews are voting for the Tories and only 13% to the Corbyn’s Labour. “It’s uncomfortable, at least for this author, the way in which the song’s demonization of May echoes a host of criticisms lobbed at Hillary Clinton during her 2016 run for President of the United States. It’s all well and good to call politicians out for their flaws,” Zax said.